On 12 September from 21:00 until 2:00 everyone was invited to bath in “Sauna”. 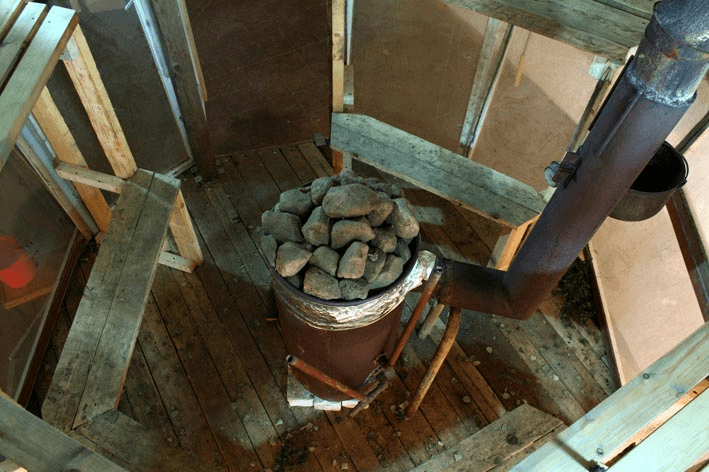 Performance “Sauna” was carried out by Estonian creative group Art Container. A sauna is a small room or house designed as a place to experience dry or wet heat sessions, or an establishment with one or more of these and auxiliary facilities. The word “sauna” is also used figuratively to describe an unusually hot or humid environment. A sauna session can be a social affair in which the participants disrobe and sit or recline in temperatures of over 80 °C. This induces relaxation and promotes sweating.